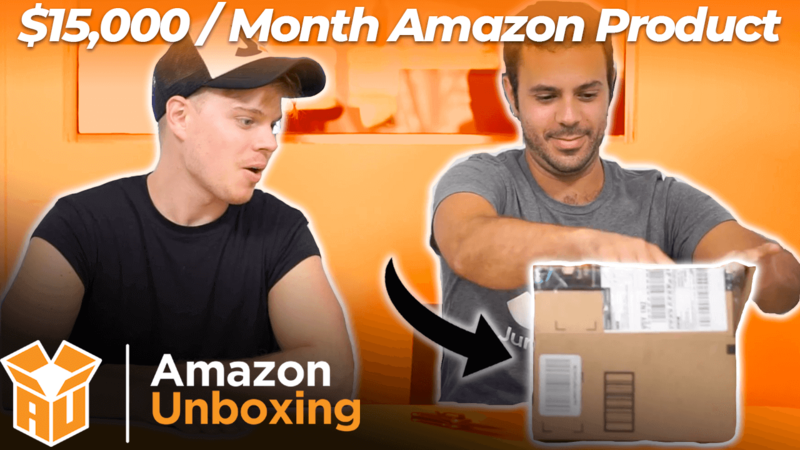 It’s week four of our Amazon Unboxing Series, with Joel and Adam, and this episode’s product is exciting! 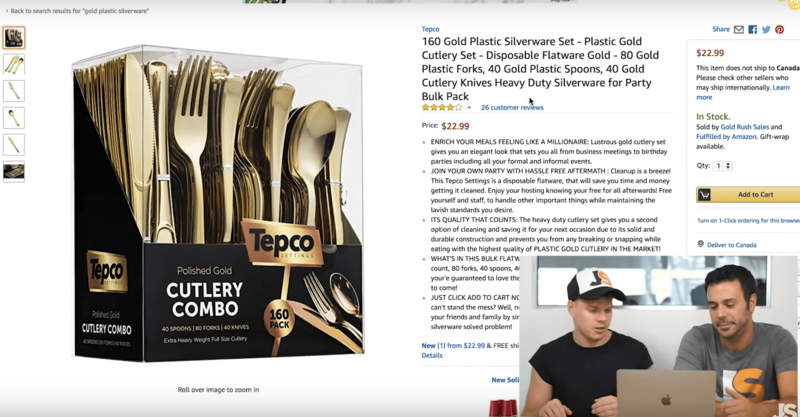 This time around, Joel and Adam are tearing down a listing for Golden Plastic Cutlery. However, since this video was filmed in August, 2018, the data looked much different than it does now. 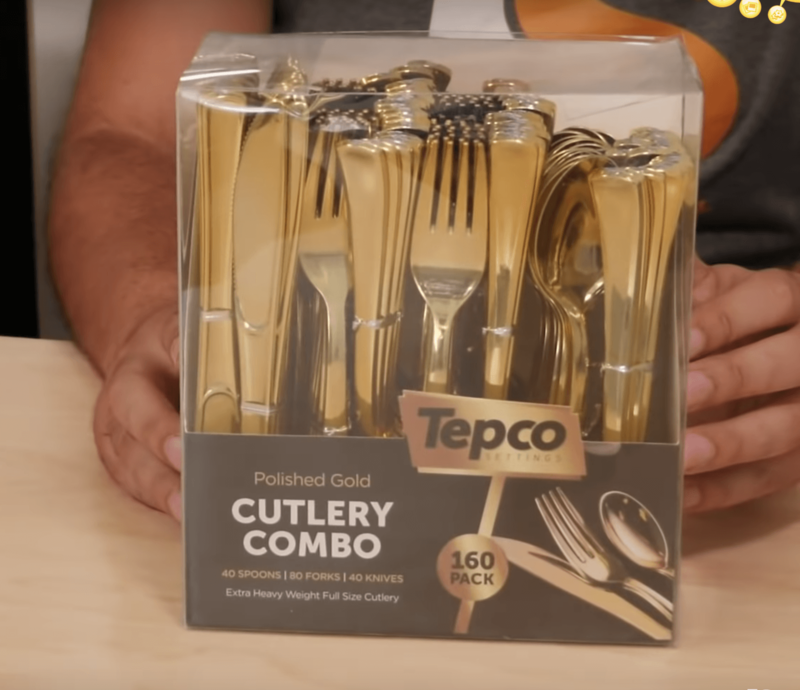 At the time of filming, this product was selling $15,000 worth of cutlery every month. They had approximately 600 sales in a 30-day period, and only 26 reviews! Now, both the product and listing have changed. For some reason they changed the name on the packaging, as well as the packaging itself. More importantly, though, is that its number of reviews has gone up, while its sales have gone down. It now has around 130 reviews, and instead of $15,000 in revenue per month, they’re bringing in around $5,000. Not that that’s anything to look down on! Plus, the dip in sales might be due to the seasonality of the product. And historically, January is a slow month for parties. You can verify that sales trend by looking at the historical sales chart in Jungle Scout’s Chrome Extension. Although this seller seems to be doing pretty well in terms of sales, let’s tear down this listing to see how it can be improved. Though the images on the listing are good, there are no lifestyle images. And since showing people using your product is a must, not having at least one real-life picture is a big miss. In this case, we recommend that the seller add a photo of people using the utensils. They could even change the lifestyle photo to match the time of year. In the summer, people eating at a BBQ. In the early fall, at a posh wedding. New Year’s Eve. Birthday parties. There are so many photographic possibilities! Another suggestion? Replace the image of the place setting on a napkin with a photo of people around a table set with the gold cutlery. The first picture is good, but the second picture is better. Remember, photography is probably the most important part of your listing. You need to grab people’s imaginations right away. They want to envision themselves using your product. That’s why, if you’re not a professional, hiring a qualified and skilled photographer to take your product(s) for you is key. If you need a photographer, check out our list of pre-vetted freelance photographers on the Jungle Scout Market. There is some amazing talent in there! Intentional or not, by showing products that are frequently purchased together, Amazon is sharing some major info for FREE. Knowing what buyers usually buy together means countless potentially profitable bundle ideas. 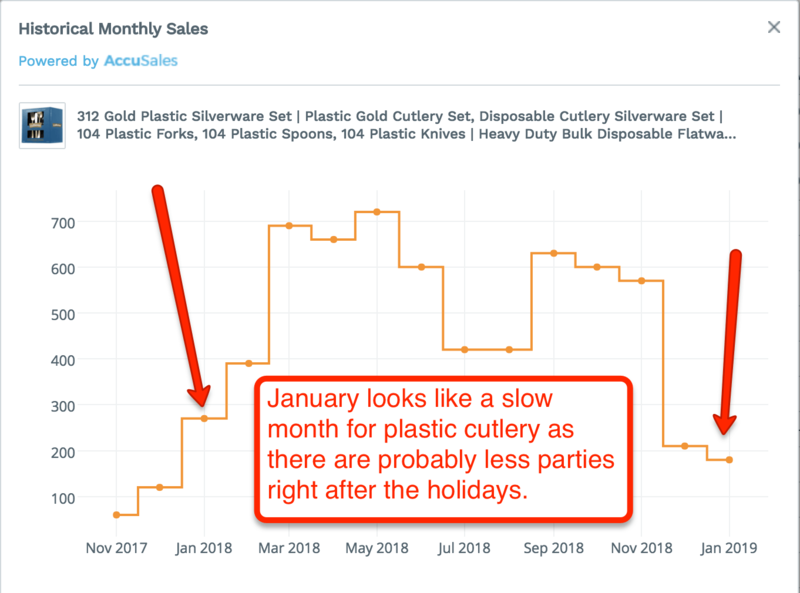 If you look at the ‘Frequently…’ section for the cutlery, you can see that of the many buyers purchasing these plastic golden utensils, some also buy matching gold-rimmed cups and napkins. This could be a prime opportunity, if few to no other sellers are offering a bundle of all three. And you can do this for any products you sell already, not just for products you’re planning to sell. By bundling, you’re helping buyers find everything they need in one place. You’re making their shopping experience less stressful, while increasing your revenue. It’s a win-win. Not to mention, the potential profit is much higher when bundling. This seller is missing out by not offering an option to purchase cups and napkins as well. The good news is we did receive a follow-up email from the seller, after we purchased the ‘silverware’. The bad news is that the email, the way it was written, is unlikely to return the results they want: for customers to leave a positive review, or to get feedback via email if there was a problem. First, the subject line. It doesn’t grab your attention. You want to write a subject line that will entice your buyer to open it. Put yourself in the customer’s shoes. What subject line would convince you to open an email? In addition to the subject line, the copy also needs work. 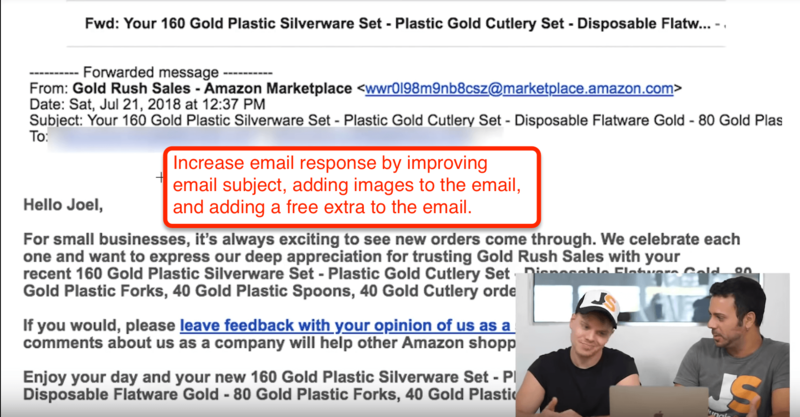 A follow-up email is a great time to add value to your customers’ purchases, by giving them a freebie that will help them get the most out of your product. A detailed instructional guide with graphics on how to create a beautiful table setting, or an ebook filled with party recipes that are easy to make and that everyone will love would do the trick. It’s extras like these that go a long way to building a relationship with a customer, often convincing them to leave that glowing review. Images also make emails (and, in a roundabout way, your product) more appealing. They also tend to be easier to read. And since most people don’t want to read a long email, this seller missed out by not including graphics. When it comes to follow-up emails, the old adage is true. A picture IS worth a thousand words. If you don’t yet have an automatic email campaign in place, check out Jump Send. It’s a great way to send your follow-up emails to your customers. In case you’re new to selling on Amazon, it’s extremely important to add your most profitable keywords to the beginning of your title. This particular seller nailed it! They put the right keywords at the right place in the title and bullets, and it looks like it’s paying! We did a quick reverse-ASIN search, using Keyword Scout, to see exactly how well this product is doing in terms of keywords. Turns out that the cutlery is ranking for 128 of its keywords. That’s a really good number of relevant keywords for such a simple product. 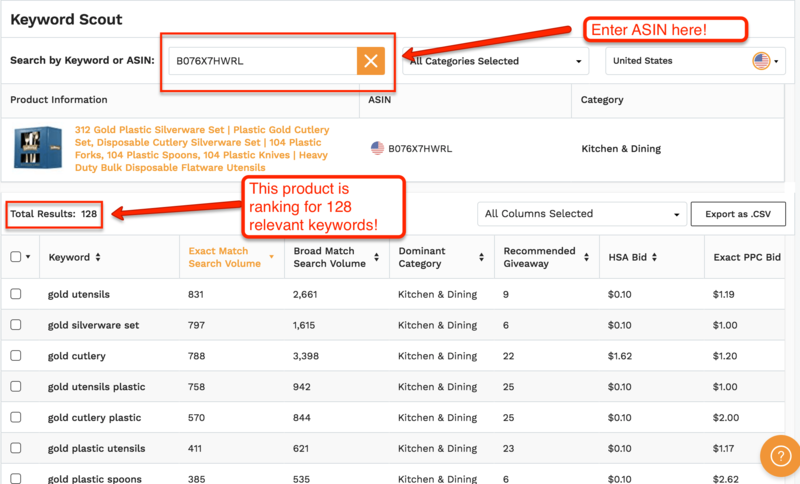 If you’re looking to increase the number of keywords you product is ranking for, you can use Keyword Scout to see what keywords are ranking for your competitors. They may use profitable keywords you hadn’t thought of. Just put their ASIN into the search bar, and a list of their keywords will pop up. If there are any profitable and relevant keywords in their list, that you didn’t include in yours, you can take the new keywords and implement them into your title, bullets, and product description for even more sales! A lot of sellers don’t understand the importance of bullet points. But bullets are your chance to list all of the features and benefits of your product, while optimizing your listing with keywords for search engine optimization. The cutlery’s bullets well-written, not only because they include relevant keywords but because they use language that appeals to buyers. Writing effective bullets can increase your sales exponentially. If copy writing doesn’t come easy for you, you can hire a professional copy writer at the Jungle Scout Market. Like bullet points, many sellers miss the point of having good packaging. The seller of this cutlery, however, did not. They obviously had someone that knew package design to help them out with this box. It’s very professional-looking, making the cutlery look like you’re getting an upscale product. And aside from quality packaging instilling confidence in buyers, it’s also a great place to include instructions and any other necessary information buyers might need…yet another way to market your brand and gain return customers! This listing definitely passed our unboxing test! And even though there are still improvements to be made, this seller did a lot right. But don’t leave money on the table! Think of how many more sales the seller could have made with a few minor adjustments. Put your products and listings to the test, to maximize your sales and profit. If you can’t get enough of Amazon Unboxing, make sure to subscribe to new episodes every Wednesday. Sign up to get notifications when new episodes are released here.